At Rockett St George we often encourage others to be adventurous with their wall art and display pieces. 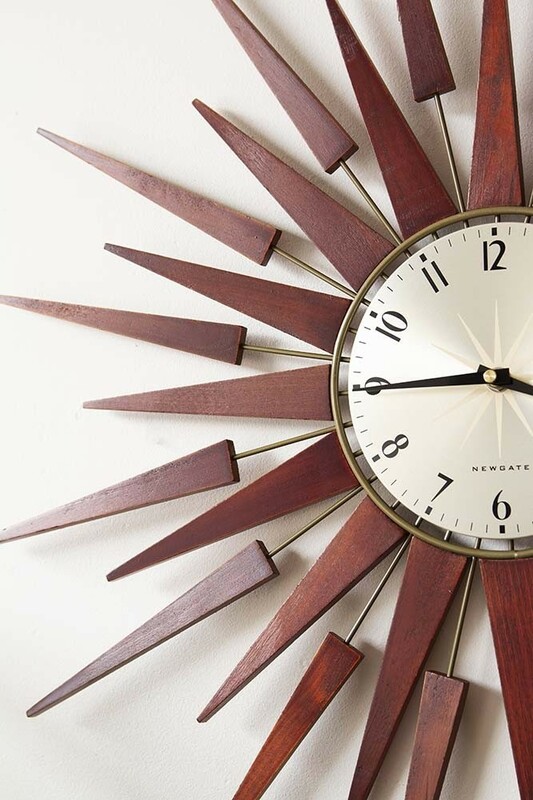 The Newgate Mid-Century Style Sunburst Wall Clock is just as much art as it is a clock. With beautiful brown and red tint wooden beams that radiate from the centre of the retro mid-century style clock, the beautiful Sunburst Wall Clock will be a beautiful focal point for any kitchen, living room, bedroom, living room, hallway or just about anywhere else in the home! 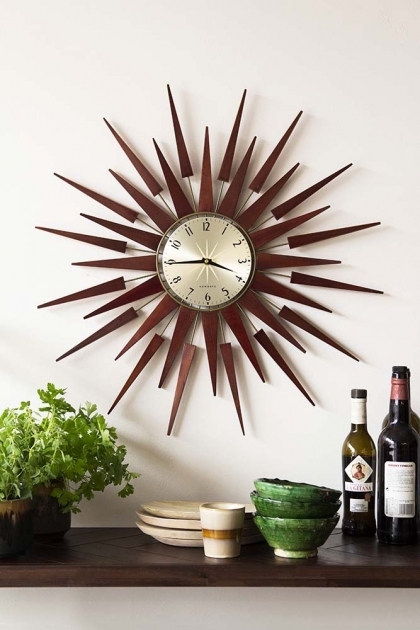 Hung on the walls alone of amongst artwork, the handmade clock will add chic, class and sophistication to any room.